Japanese Restaurant Minneapolis: The Perfect Gift! November is now here, and that means it’s time to begin thinking about all those gifts you’re going to buy for your loved ones. While you may some ideas for items you can buy, you may have those friends or family members who prefer an experience or quality time over a trinket or gadget that sits in a box or on a shelf for most the year. They may also be a total foodie, and that means they’re always on the lookout for new and exciting cuisine. At Moto-i in Minneapolis, our gift cards are a great option, and you can give someone the gift of amazing Japanese food coupled with an outstanding dining experience! 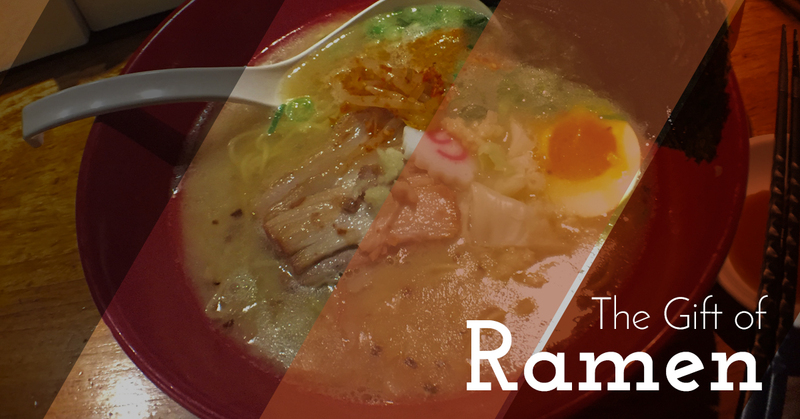 If your friend or relative is a foodie, chances are they’ve had Japanese cuisine before, and that could include traditional ramen dishes. While they may have tasted it, they may not have had something from the Moto-i menu, and that will hopefully be enough to pique their interest. Our Miso Tempura Ramen has miso broth, tempura shrimp, scallion, fish cake, nori, togarashi, chili, tempura crumble, and a poached egg, and that’s just one of the many selections on the menu! Many foodies want the recommendations of the staff, and we’ll gladly share our favorites or point them in the right direction based on their tastes and preferences. Above all, we want to serve something they’ve never had before and can’t find anywhere else! Gifts can be wonderful things, and when you’re little, the holidays are often about the department store gift books and picking out your favorite toys. As you get older, the “things” might not mean as much, and that’s why the gift of quality time can be so special. If you don’t see a certain friend or relative on a regular basis, a restaurant gift card can be a great choice, as it gives you an opportunity to go out to dinner and catch up over ramen, rice, and sake. They can obviously choose to use their gift card however and whenever they want, but it opens up the opportunity for a great afternoon or evening together. We offer gift cards in five dollar increments from $20 to $250. You can add a personal note to your card, and can have it emailed to the recipient, print off the card and include it with another gift, or have a physical gift card mailed to your loved one. No matter how they receive it, they’ll love the chance to try Japanese dishes they haven’t tried before, spend time with those they care about the most, and have an unforgettable dining experience. While finding the perfect gift can be hard, we here at Moto-i have made it much easier. The best thing is, you don’t even have to live in Minneapolis to get one of our gift cards! Order yours online today, and while you’re here, take a few minutes to look at our menu and learn more about our sake brewery.